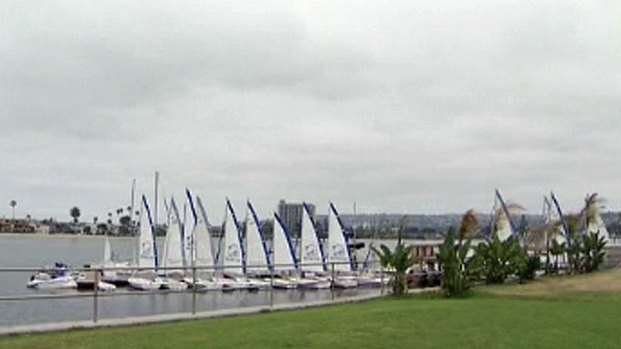 The water sports rental business is located along Mission Bay just north of San Diego. A Southern California beach business that hosts a popular kids’ summer camp was the distribution center for a local methamphetamine ring moving large quantities of drugs officials alleged Friday. 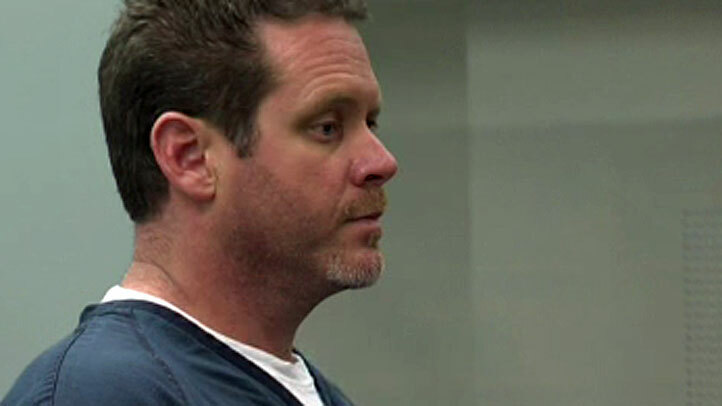 Investigators announced arrests in the case Friday accusing Boone and eight others of using the business, known to many San Diegans as a place to rent water equipment or take lessons, as a drop location for drug suppliers and buyers. "It was a sophisticated use of the lockers at the Mission Bay SportCenter where the drug couriers were able to access those lockers and use them as a dead drop," said prosecutor Jorge del Portillo. "Meaning they would drop in money or pick up methamphetamine from those lockers." A Southern California beach business that hosts a popular kids' summer camp was the distribution center for a local methamphetamine ring moving large quantities of drugs, officials alleged Friday. NBC 7's Rory Devine reports. Boone (pictured below right) pleaded not guilty to 15 counts including transportation, sale, and possession for sale of methamphetamine. San Diego County District Attorney Bonnie Dumanis announced the arrest describing the 40-year-old business owner as a leader in the drug ring. “The defendants in this case brazenly centered their drug-dealing operation out of a popular Mission Bay business where kids attended summer camp,” Dumanis said. Law enforcement officials served a search warrant Thursday at the Santa Clara Place business. About five pounds of methamphetamine along with heroin, marijuana and prescription pills were removed from the building officials said. They also found $48,000 in cash a bullet proof vest and a loaded .22 handgun. Nine people have been charged in the case. Seven have been arrested in connection with the investigation. Officials also arrested Vincente Garcia, 41; Jacquelin Miller, 32; Joe Bean, 52; Michael Gifford, 41; Janelle Shryock, 21 and Tamara Delar, 20. Seven of the defendants will be arraigned in court Friday. More are expected to be arraigned on Monday. If convicted of the charges, their prison sentences range from 16 months to 10 years. A DEA spokesperson said the investigation also involved San Diego police, San Diego County sheriff’s deputies and U.S. Border Patrol agents. During the warrant search, officials also found a firecracker and called out the San Diego Fire-Rescue bomb experts to handle. The center offers summer camps, boat and water sport rentals and lessons ranging from standup paddleboarding to surfing or sailing. On Friday, it was business as usual at the sports rental facility with customers renting equipment. “Decisions people make do not affect us here. We were not involved,” said one staff member. Employees told NBC 7 San Diego the summer camp will go on as scheduled Monday.